The President of Association of Industrial Security and Safety Operators of Nigeria (AISSON), Dr. Ona Ekhomu has described the recent deadly attack on five banks in Otta, Kwara State, as a terrorist attack, reports ITRealms. “The attacks exhibited all the hallmarks of a spectacular terror attack including violent neutralization of law enforcement, use of IEDs, use of automatic weapons, large number of attackers, ISIS-style vehicular convoy, aggressive combat tactics, large number of wanton deaths, etc.” he said. In his reaction in Lagos on Wednesday, Ekhomu told ITRealms that the narrative of bank robbery was grossly erroneous and patently false. Stressing that it was a brazen terrorist attack aimed at causing mayhem, deaths and striking fear into the hearts of Kwara citizens. 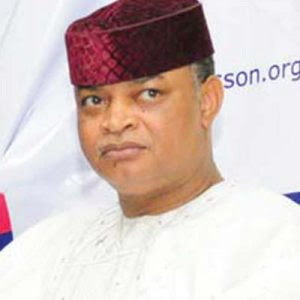 In a related press statement made available to ITRealms, Ekhomu argued that Kwara State had recorded incidents of violent extremism and terrorism in the past, and cited the case of the bombing of Ilorin township Stadium many years ago and cases of foreign espionage agents and their Nigerian conspirators detected in the state. The security expert also argued that with the reported displacement of Boko Haram fighters from Sambisa forest and the mass release of Boko Haram suspects by the Federal Government, suspecting that a terror cell might now be active in the Offa area. “The authorities must thoroughly investigate the terror attack and give Nigerians a proper explanation of what happened on that day. The actual perpetrators must be arrested and they must provide corroborative evidence of their complicity. Investigators must resist the temptation of arresting vagrants and labeling them Offa bank robbers in order to look good. When the real perpetrators are caught, the Police must resist the temptation to commit extra-judicial killing. The story of the perpetrators must come out. It takes a very evil psychopath and sociopath to lay siege to a police station and kill nine policemen in one fell swoop and then proceed to murder at least 21 others,” he said. Ekhomu, who is the first chartered security professional in West Africa advised that there was an urgent need to conduct adversarial threat assessments and vulnerability assessments of Police facilities in the country. He said that the design basis threat (DBT) for these facilities must be determined so that the security architecture and engineering of facilities would be robust enough to address the threat. Design basis threat (DBT) is the threat (e.g. tactics and weapons, tools, explosives, etc.) against which assets within a building must be protected and upon which the security engineering design of the building is based. The current over-deployment of military personnel, with all the attendant risks is because police personnel are an endangered species based upon the actions of home grown terrorists. The Police agency and the Federal Government must ensure that persons or groups who harm police personnel pay dearly for such savage acts. Ekhomu commiserated with the Inspector General of Police and the police family on the loss of nine police personnel and advised that they must be named, given heroes’ burial and their families compensated for their deaths in the line of duty. Asserting, “Police lives must not be cheap. We must honor their sacrifice and service to the nation”.